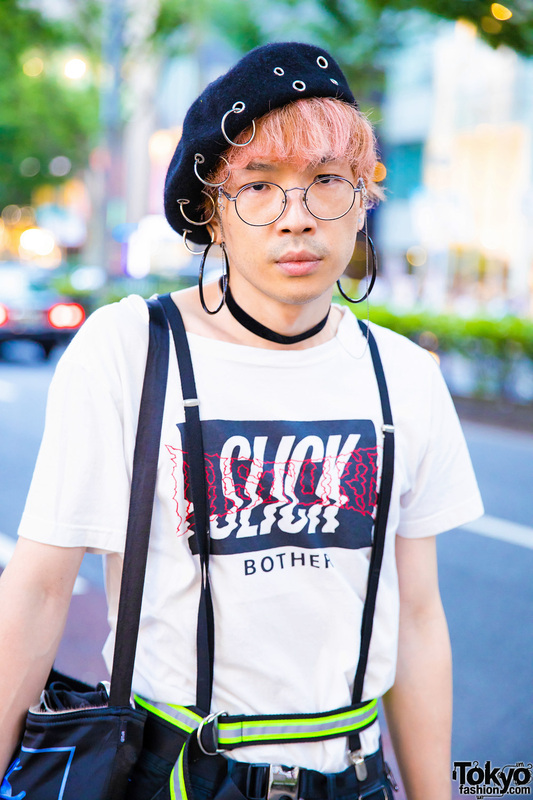 While out for an early evening walk on Harajuku street, we came across Daisuke, whose pink hair and interesting look caught our attention. 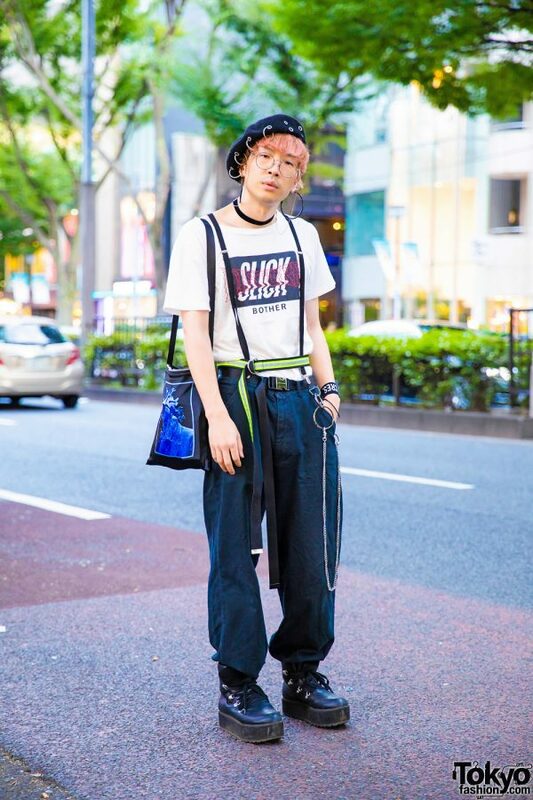 Sporting a black velvet beret with grommets and o-rings, Daisuke is dressed in a white t-shirt with wordings and red prints, which he styled with black suspenders and tucked into a pair of black pants. 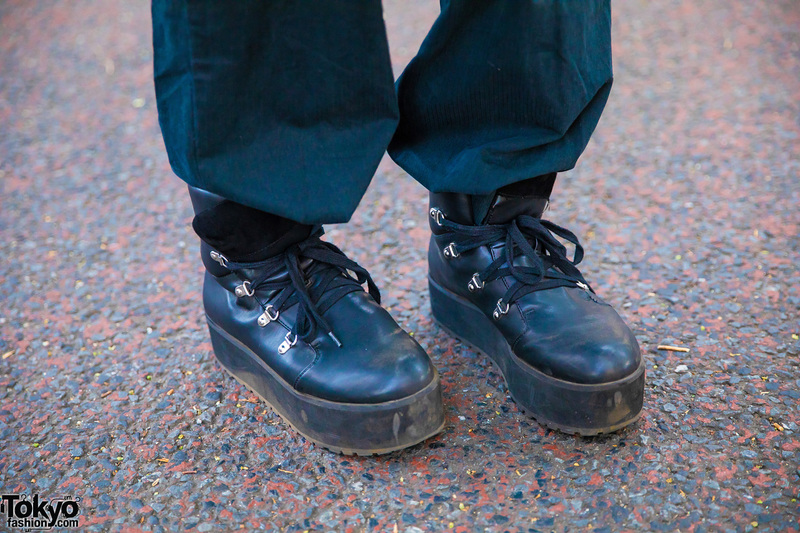 He then tucked his pants into black lace-up shoes. 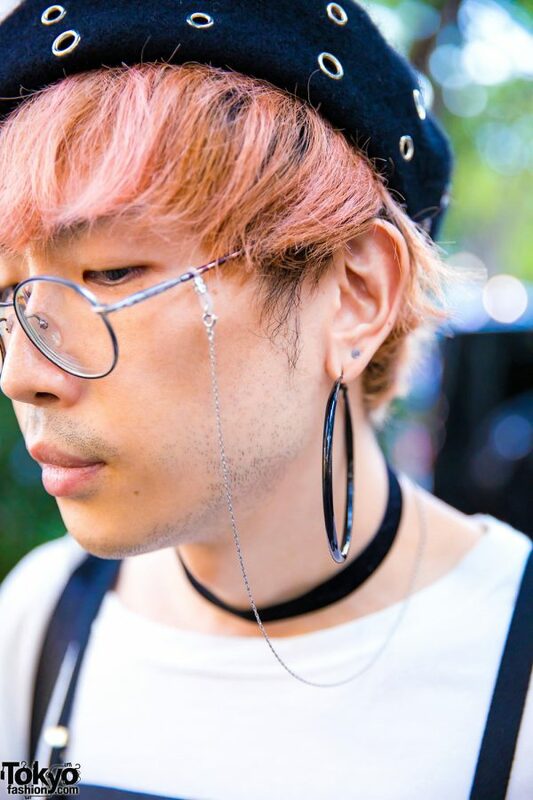 He accessorized his monochrome style with large black hoop earrings, round eyeglasses with silver chain strap, a black choker, a long black belt cinching his pants, a neon green belt, a monochrome wristband, and a silver chain accessory. 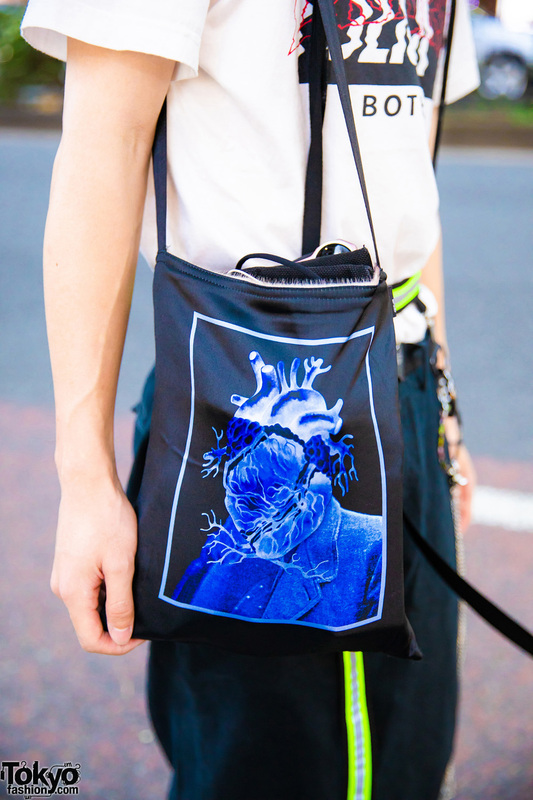 In addition, Daisuke is carrying a black sling bag with a blue artistic print on front. 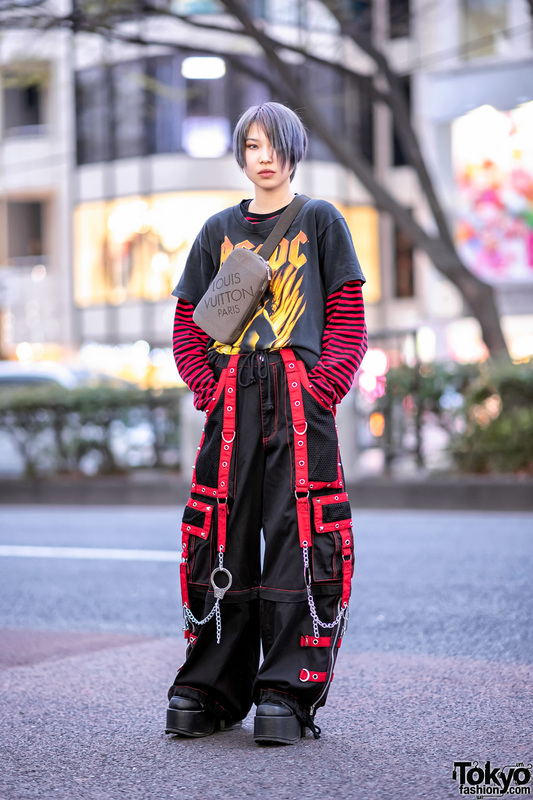 Daisuke loves to shop for fashion finds in Forever21, and he is active on both Twitter and Instagram.